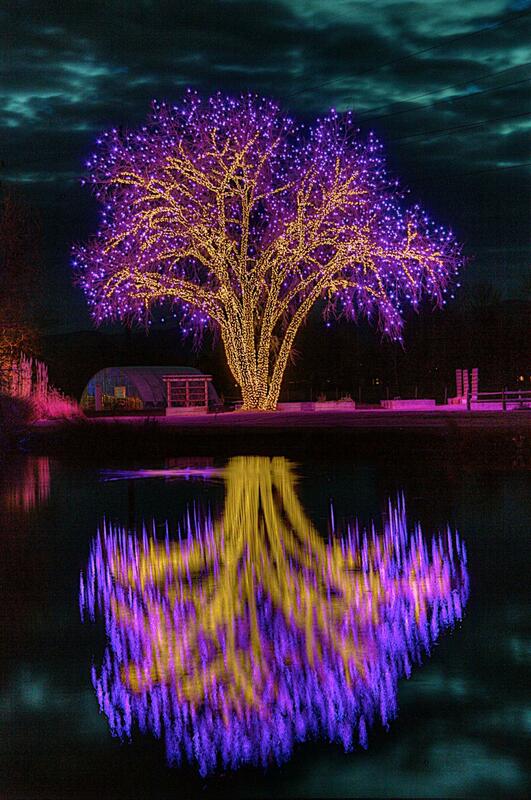 Light shows will illuminate the night throughout the Denver area and Colorado Springs. The whole family will have a fun evening of sparkles, colors, and so much more. And you might even get to meet with St. Nick, himself, at a few of these events! Most of the attractions are outdoor, so be sure to dress for the winter, and enjoy the splendor of Colorado during the holidays. The lights at Seven Falls and the cliff faces of the Pillars of Hercules will once again light up the night with more than 100,000 individual lights. This multi-colored display offers a festive atmosphere throughout the whole winter season! The whole family will love Santa’s Village at Chatfield Farms. This magical atmosphere offers pictures with Santa, hayrides, holiday shopping, Santa’s workshops, a trail of lights, and much more. Head over to Littleton’s Hudson Gardens to meet Santa, and take in paths of trees decked out in more than a million shining lights of all colors. Enjoy seasonal treats and warm beverages as you stroll through colorful lights and beautiful designs at the Botanic Gardens. There will also be carolers and sound-reactive LED lights on hand synced to favorite holiday songs. 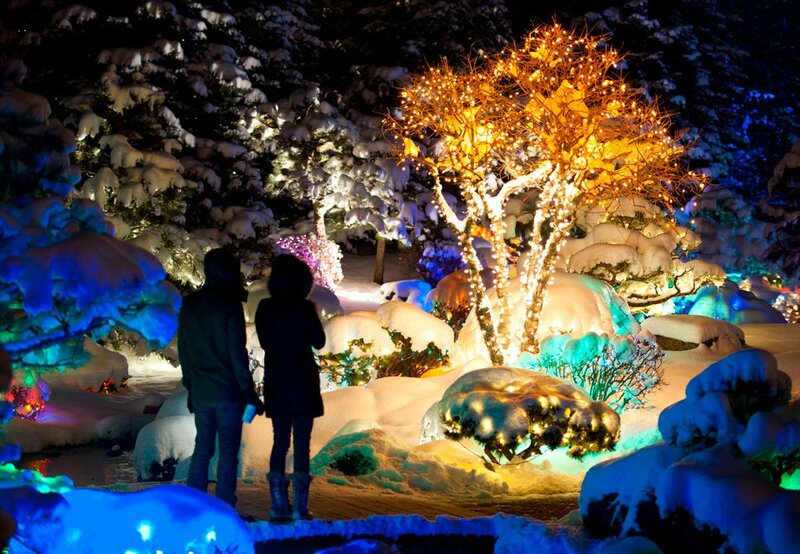 Seventy acres of Denver Zoo will be alive with illuminated animal sculptures, Santa time, animal encounters, and so much more. Cruise through Denver’s beautiful neighborhoods, and enjoy the lights of the season all from a heated bus. The ride will include hot cocoa, cookies, and historical info about our holiday traditions. Enjoy lights, animals, and holiday spirit at America’s only mountain zoo! Nearly 1 million sparkling lights will light up the night at this festive event. Santa will also be on hand! Which of the above festive light displays will you be checking out this year? Let us know in the comments below. Check out these 3 magical Christmas getaways in Colorado!